Although there are approximately 40 different huckleberry plant species, these shrubs have similar leaf shapes and fruit characteristics. If you search for huckleberries, you generally will have to go off the beaten path and into wilderness areas where huckleberries grow wild. Huckleberries are close relatives to blueberries, although the huckleberry fruit has significantly different seeds than blueberry fruit does. 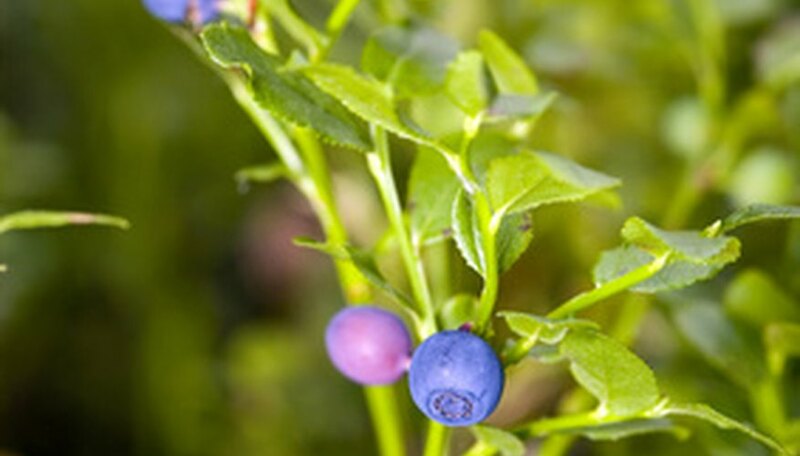 Find huckleberry shrubs growing in shady forests and thickets. These shrubs often grow prolifically in burn areas in the wilderness. Huckleberry shrubs range in size from 2 feet to 6 feet high and they usually grow as a fully branched bush. Huckleberry shrubs grow in western regions of the United States and are particularly widespread in mountainous elevations. Examine the leaves of a bush to find thin leaves with pointed tips that differ in size, depending upon the huckleberry variety. Some leaves are small and narrow and others are larger. Huckleberry leaves are generally similar in shape; however, the size of the leaves varies with the different huckleberry species. 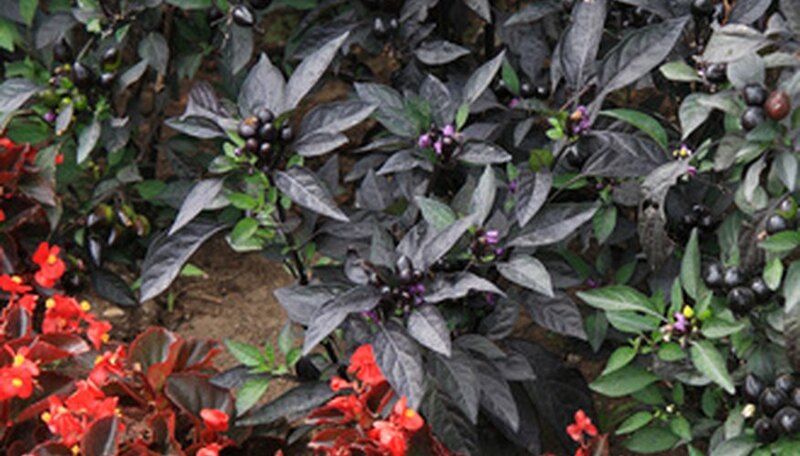 Huckleberry leaves are a deep green color and the stems are usually fine instead of thick and sturdy. View the huckleberry fruits in the spring. Huckleberry flowers are pink and they resemble dainty bells as they bloom in clusters on the huckleberry shrub stems. Look for huckleberries on the huckleberry shrubs between the months of June and September. Huckleberries are round like blueberries, except they may be orange, reddish-pink, light blue, purple or even black (depending upon the huckleberry variety). Huckleberries all have 10 large seeds in each berry. Find a location that has ripe huckleberry bushes. In Idaho, huckleberries grow in the mountains. Drive into the forest and search for a forest service road with huckleberry bushes along the side of it. Most people are rather tight-lipped about the location of huckleberries because they are such a valuable resource. Hike into the woods until you discover a huckleberry patch. Look for huckleberries in places with a southern exposure. Gently remove the berries from bushes with your fingers. Be sure not to squeeze the huckleberries too tightly. Only pick ripe huckleberries. If they give in your finger slightly, they are ripe enough to pick. If they are hard, leave them on the plant to ripen. Place the huckleberries into your bucket. Wild huckleberries are found all over North America. Red huckleberries are found growing in disturbed areas or logged places along the western states. Blue huckleberries are found from the West coast to the East coast and from Texas up through Canada. Wash your hands with soap and water, rinse and dry. Rinse the huckleberries in cold water to wash. Inspect the huckleberries and remove defective or unripe berries and leaves. Plan to freeze ripe berries, as opposed to immature or overripe huckleberries. Dry the huckleberries on a paper towel. Cover a cookie sheet with wax paper and arrange the dried huckleberries on the wax paper and freeze. Fill a freezer container or freezer bag with the berries, leaving no headroom. Seal bag or place lid on container. Remove as much of the air from the bag as possible. Place the container in the freezer. Wash the huckleberries prior to using. Pour 1 1/2 cups vodka through a filtering water pitcher 3 or 4 times to remove as many impurities as possible. Use a good quality vodka to make a drink worth creating. Chop 1 cup huckleberries with a sharp knife. The berries only need to be roughly chopped to help the alcohol to extract the flavor from inside the berries. Place the huckleberries and 1 1/2 cups filtered vodka into a glass jar. Put the lid on tightly and place it in a cool, dry place where it won't be disturbed. Let the mixture infuse for two to three weeks. Mix 1 1/2 cups sugar and 1 1/2 cups water in a heavy pot. Heat on the stove, stirring regularly, until all the sugar has dissolved and the liquid is clear. Remove the pot from the stove. Allow the sugar syrup to cool to room temperature. When the liquid is cool, add it to the jar containing the huckleberry infusion. Taste to see if it is too sweet or too strong in alcohol. Adjust if necessary, adding more vodka if too sweet and more sugar syrup if too strong. Replace the lid and let it sit for another 10 days. Pour the mixture through coffee filters four times to strain out all the organic matter. When the liquid is clear and free of any specks, pour it into an attractive bottle for addition to your bar or for gift giving.